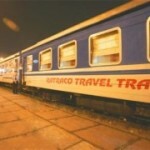 The services of Friendly Sapa Train from Hanoi to Lao Cai and return. 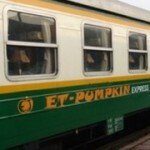 Why should you choose the Friendly Express Sapa Train? 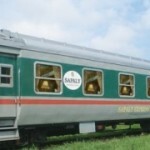 Friendly Sapa Train also luxuriously equipped with modern amenities such as reading lights, clean berths and hygiene pillow and blanket, in addition to the free snacks and mineral water for light meals of the guests. 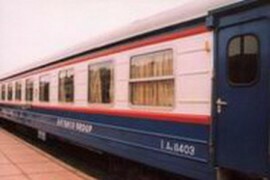 In accordance with the intimate manners of the staff and cozy atmosphere of the space, passengers definitely experience the comfortable and indulged moment staying on these carriages. However, like other train service, Friendly Express Train is only able to provide one single bathroom on each carriage for passengers. Even though those WCs are undoubtedly hygiene and quality ensured, guests might feel more inconvenient and unpleasant using those bathrooms. 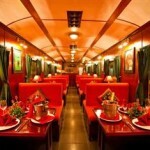 Moreover, there is no dining and bar carriage for demand of the passengers, which means that guests might feel truly hungry and tired during the trip.